For the first time since the 2007-2008 NBA postseason, NBA fans will get to see the Orlando Magic and the Toronto Raptors face off in the playoffs. In that series, the Magic, led by Coach Stan Van Gundy and franchise player Dwight Howard, would beat the Raptors 4-1 in that series. The Magic dominated the Raptors in their previous matchup but the second-seeded team from the North could prove their might in the first round. 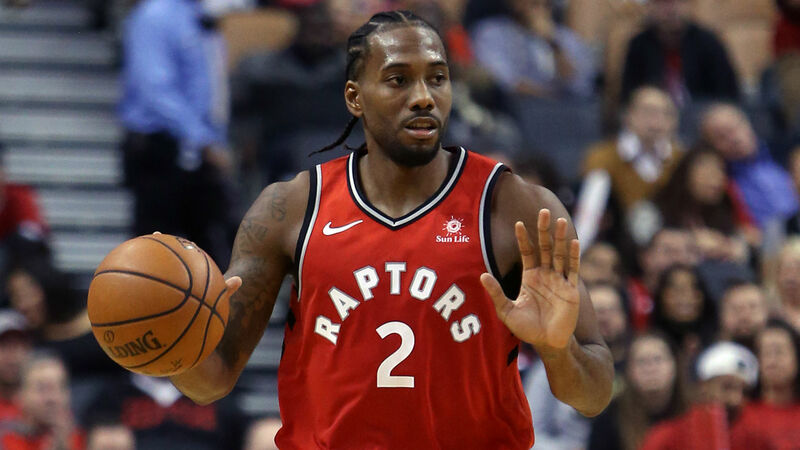 This entry was posted in NBA and tagged Basketball, Kawhi Leonard, NBA, NBA Playoffs, NBA Preview, Orlando Magic, Toronto Raptors on April 13, 2019 by Liam Romero. For anybody who read my DeMarcus Cousins piece on TheScorecrow, available here, they would know that I believe he is not as big of an asset to the Warriors as analysts make him seem. In my debut article, I asserted my idea that Cousins’ Achilles injury may render him almost futile to the Golden State Warriors organization. With Boogie making his debut for Golden State against the Clippers on January 18 with 14 points, 6 rebounds, and 3 assists in 15 minutes, this follow-up piece will substantiate or negate the predictions I previously made about him six months ago. This entry was posted in NBA and tagged Basketball, DeMarcus Cousins, Derrick Rose, Golden State Warriors, Kevin Durant, Los Angeles Clippers, NBA, New Orleans Pelicans, Sacramento Kings, Shaun Livingston, Stephen Curry, Steve Kerr on January 22, 2019 by Liam Romero. When NBA fans hear ‘Derrick Rose‘ the first thing many think of is the horrendous list of injuries he’s endured throughout his career. The youngest MVP in NBA history began his ordeal with injuries right after his MVP season in 2011 with the Chicago Bulls. Every season since, Rose faced injury after injury, many of which were serious and believed to be career-ending. Now, with the Minnesota Timberwolves, Rose has blossomed into a player fans thought they’d never see again. During Rose’s return to Chicago on December 26, he was showered with MVP chants from his hometown fans. Who would have ever thought D-Rose would have such a comeback? How did he do it? This entry was posted in NBA and tagged Basketball, Chicago Bulls, Derrick Rose, Minnesota Timberwolves, NBA, New York Knicks on January 9, 2019 by Liam Romero. At the beginning of the season, I made various predictions about the Western Conference. Like many other NBA fans, I have been blown away by how the Western Conference has panned out. The Golden State Warriors falling apart, Carmelo Anthony leaves the Houston Rockets, and as of right now the Los Angeles Clippers in the top of the standings?! This entry was posted in NBA and tagged Basketball, Denver Nuggets, Golden State Warriors, Houston Rockets, James Harden, Kevin Durant, Los Angeles Clippers, NBA, Nikola Jokic, Stephen Curry on December 7, 2018 by Liam Romero. The Houston Rockets have certainly presented themselves as one of the best teams in the NBA. With a heartbreaking defeat in last season’s Western Conference Finals, will the Rockets return to their glory and perhaps make the Finals? This entry was posted in NBA and tagged Carmelo Anthony, Chris Paul, Clint Capela, Houston Rockets, James Harden, NBA, NBA Season Preview, NBA Team Preview on October 13, 2018 by Liam Romero. The Dallas Mavericks have dropped to a below average team since their championship victory in 2011. Their once star players have either left or gotten too old and it’s obvious that the Mavericks need a new, younger core to their team. Through seasons of tanking, the Mavericks now have a bright future. Will the Mavericks take advantage of their new assets? Can Dallas compete in an extremely competitive Western Conference this season? This entry was posted in NBA and tagged Basketball, Dallas Mavericks, Dirk Nowitzki, Harrison Barnes, Luka Doncic, NBA, NBA Season Preview, NBA Team Preview on October 11, 2018 by Liam Romero.